With a shared border more than 2.000 kilometres long, Colombia and Venezuela are facing a serious challenge in managing their national relations. With the massive forced migration of people coming from Venezuela, an understanding needs to be reached. According to United Nations estimates, more than two million people have fled Venezuela as a result of the internal crisis and the government’s economic policies. It is estimated that there are already close to one million forced migrants in Colombia, in different cities of the country, although some are returned Colombians. A large part of the migratory flow of those crossing to Colombia by land is done through the North Santander Department, but many other areas of the expansive border are used by walking migrants who were forced to leave everything behind to seek new and better conditions of life in Colombia or other countries in the region. 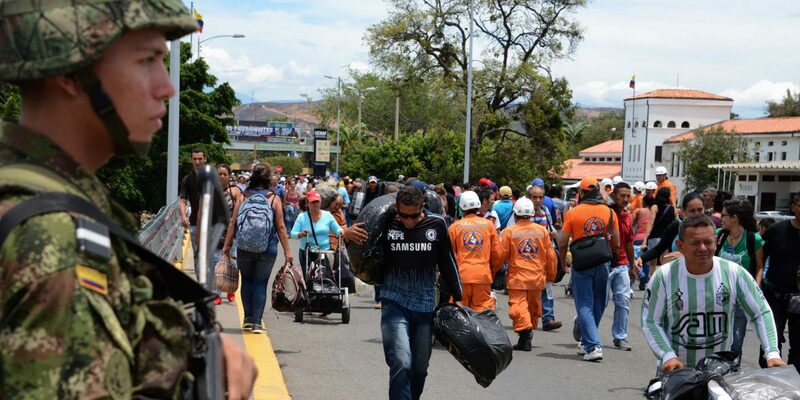 This is the case in the border crossing between Apure, Venezuela and Arauca, Colombia. It is for this reason that the Jesuit Refugee Service (JRS) has decided to prioritise a new, binational project, beginning October 1, 2018. With support from the national offices of Colombia and Venezuela, as well as the JRS regional office in Latin America and the Caribbean (LAC), the project will accompany the population with the greatest needs for humanitarian assistance and protection. JRS currently has four offices in the LAC region, located in Mexico, Venezuela, Colombia, and Ecuador. JRS accompanies thousands of forced, displaced, and refugee migrants in the region to guarantee access to fundamental rights and cover their basic needs, which it will now continue in Arauca and Apure. The Jesuit Refugee Service works together with the Society of Jesus and the Catholic Church, and hand in hand with local governmental and non-governmental authorities on both sides of the border. JRS strives to provide legal, psychosocial, and humanitarian assistance in this important area of the broad, binational border.